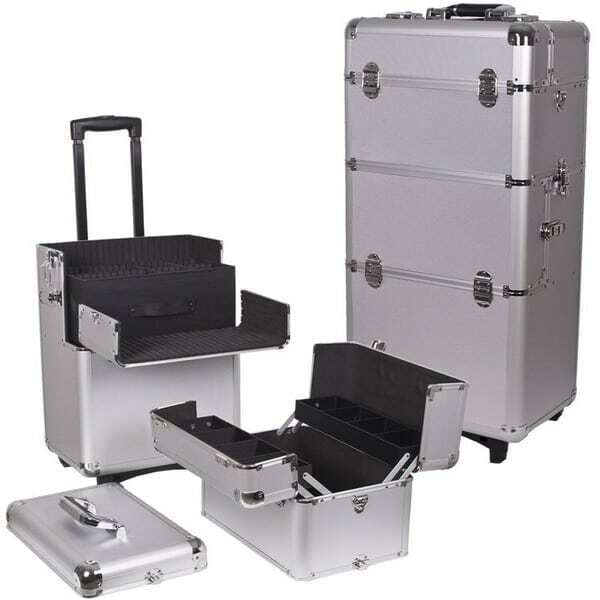 This trolley makeup case kit is a must for makeup artists and hairdressers. It features a large base compartment and detachable top case compartment making it convenient use and customizable. The large base compartment includes a top shelf with dividers is big enough to hold your bottles and palettes. In line skate wheels for easy mobility and settling. This makeup case is the perfect choice for organization of all your cosmetics. Moreover, key lock design ensures the security of your personal items.